A federal judge has ruled that investigators can go through your Facebook (s fb) profile if one of your friends gives them permission to do so. The decision, which is part of a New York City racketeering trial, comes as courts struggle to define privacy and civil liberties in the age of social media. In an order issued on Friday, US District Judge William Pauley III ruled that accused gangster Melvin Colon can’t rely on the Fourth Amendment to suppress Facebook evidence that led to his indictment. Colon had argued that federal investigators violated his privacy by tapping into his profile through an informant who was one of this Facebook friends. 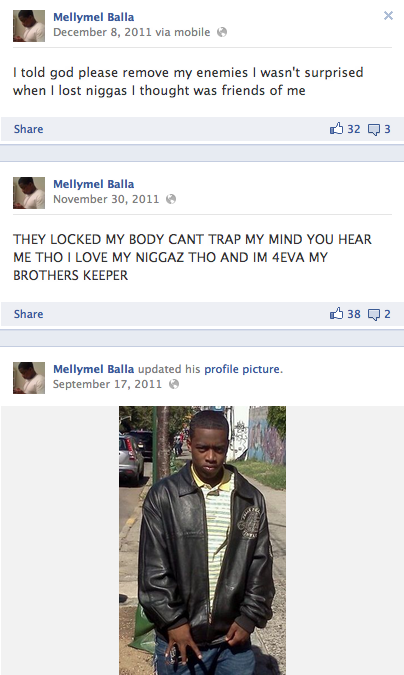 The informant’s Facebook friendship served to open an online window onto Colon’s alleged gangster life, revealing messages he posted about violent acts and threats to rival gang members. The government used this information to obtain a search warrant for the rest of Colon’s Facebook account. The Colon information is part of a larger investigation into crack-dealing and murder in the Bronx. Judge Pauley III’s ruling is significant because it is the latest in a series of cases that defines how and when police can search social media. Colon’s legitimate expectation of privacy ended when he disseminated posts to his “friends” because those “friends” were free to use the information however they wanted-including sharing it with the Government. To support this position, Judge Pauley III cited a case that confirmed the government can listen in on phone calls without a warrant provided that one of the people on the call gives it permission to do so. Ironically, Colon’s current account suggests that the government’s ability to peruse Facebook profiles may have become even easier since the introduction of the Facebook Timeline. The feature can in some cases reveal past events and status updates to the public unless a user changes his or her privacy settings. From my first day of joining Facebook [back in 2007] I knew from the jump that I didn’t “TOTALLY” trust it to hold my private information. Therefore I did not post it if I could avoid it. Hell, before I even joined Facebook I found out that my picture was up there because it was caught in a shot that involved others. I told the owner to REMOVE ME IMMEDIATELY. I take Facebook exactly as it is. A vehicle to communicate and share information. No more and no less. So if I do not want information shared then why the hell would I post it on Facebook? That’s like entering the Lions Den and expecting to not get eaten alive. Who does that? Like someone said earlier, this is a great IDIOT filter. some talked about stupiness – those who never understand the meaning of truth – those are first stupid. in many countrys fb is only way to say how things really are. dont be stupid with your stupid fantasys. but its possible there are quiet idiots who just cant see nothing. they are just slaves inside or slaves of politics. try to wake them up, because they not able to do with themself. Attempts to declare support for the U.S. Federal Government , can be considered attempts to support the enemy of the people of the United States in the War on Terror……. ThatÂ´s why I rely far more on typewriters and the pen rather than the keyboard. Basically the keyboard is a totally unreliable information source. You cannot let a computer run the course of information single handedly. But you can let pen communication and typewritten communication do that. Not computers. If you want your information protected , donÂ´t publish it online. ThatÂ´s also why I avoid adding no conspiracy theorists or bullies on my FB page. I know that theyÂ´re likely to share my page with AmericaÂ´s domestic enemies (the U.S. Federal Government). On my page , I take it very seriously if attempts are made to treat the U.S. Federal Government positively , especially if such attempts are made by people who are born and who reside in the USA. A survey on this article has been posted on Survcast: http://survcast.com/Friends-can-share-your-Facebook-profile-with-the-government-court-rules-GigaOm – Question #1: Do you feel the Government should be allowed to view his Facebook profile through his friends? Click to vote and see the results. LOL Brian. Good luck on your privacy notice… You signed it away to Facebook when you joined. Warning – any person and/or institution and/or Agent and/or Agency of any governmental structure including but not limited to the United States Federal Government also using or monitoring/using this website or any of its associated websites, you DO NOT have my permission to utilize any of my profile information nor any of the content contained herein including, but not limited to my photos, and/ or the comments made about my photo’s or any other “picture” art posted on my profile. You are hereby notified that you are strictly prohibited from disclosing, copying, distributing, disseminating, or taking any other action against me with regard to this profile and the contents herein. The foregoing prohibitions also apply to your employee(s), agent(s), student(s) or any personnel under your direction or control. The contents of this profile are private and legally privileged and confidential information, and the violation of my personal privacy is punishable by law. You are assuming your permission is needed, Malec. It is not and what you are saying there is irrelevant. You can not stop me from looking through your site and using it as evidence against you. All it tells me is you have an attitude. If you have nothing to hide, who gives a crap who looks at what you post. If you are stupid enough to break the law and then even more stupid to post it on social media to brag about it, you deserve every day you spend in jail. This is a great moron filter for the public. Well Americans, thank-you for another example of our Glorious ‘Patriot Act’. Oh, I’m sorry for my sarcastically motivated comment. I am waiting for the Constitution to be constituted. Give me liberty or give me…..Patriot Act, no Constitution…martial law, no gun control…look, since you do things without asking me, just continue to let me know what you’ve done so I can continue to adjust. What a wonderful, non dictated society I live in. Excuse me now, while I change or eliminate my Facebook. how are you so up in arms about this? This is no different than writing a letter to a friend and then your friend turning that letter over to the authorities. If you dont want your information public then do not go on facebook. Nothing to do with politics, government, or any kind of rights limitations. Please go educate yourself since you clearly have not opened a book in years. kbooder…what a complete embarrassment you are. This case has NOTHING to do with the Patriot Act. You have to be a complete idiot to think that if you willingly give information to someone else that that person can’t tell the authorities about it. This is true whether it is on FAcebook, an e-mail, or FACE TO FACE. Tim and lakawak have it exactly right. This dufus made information known to his friends, and one of them turned him in. This is exactly what we want to happen. This is a common sense ruling by the judge. Oh, and you’re right, kbooder, about Facebook. Its purpose is to share information. If you don’t want someone else to see your information, don’t post it or don’t have a FB account in the first place. It’s your choice. To begin with with, I’m enjoying each and every reply. I would like to inform my very enthusiastic readers that one, I do read…lol, that was the cutest reply. My response has nothing to do with the actions of the young man. His foolishness and arrogance got him what he deserved. The disdain I tried to express was over the fact, that thru others blatent disregard for the law, in an effort to control them, another liberty, has been taken away. Example, some fool, goes to the movies with weapons. Now, my right to bear arms is being questioned, and new gun control laws will be instituted. Good you say, until you or your families safety is compromised, an then you are left to? Sent from my iPod. Because I’m so awesome. I wonder what laws YOU’VE been breaking. Hahahaha……I’m as law abiding as the next law abiding citizen, and you can trust that just as you trust your government wouldn’t do anything like, add a known poison to your water, or tell you aspartme is ok in your food. How many laws do they break against us? Are these the questions you ask? No, but ya ask me. Suggestion….turn your t.v. off for two weeks, I personally don’t watch that ‘ please program me box’. WAKE UP PEOPLE. Study up on MK ULTRA, Unit 731, and anything related to what goes on that they pray the masses don’t get concerned with and involved in.